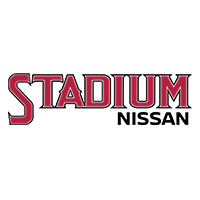 At Stadium Nissan’s Service Center, we employ fully factory trained service technicians. They work hard to provide first-rate service to both you and your Nissan and fast. From a simple oil change to complex transmission diagnostics and replacements, we are truly dedicated to maintaining the best customer service, for your car!Stadium Nissan has Nissan Trained Technicians working with OEM Nissan Parts to ensure that your Nissan is in perfect working condition. Schedule an appointment and let our awesome staff prove our commitment to excellence. You can schedule your service online with our service advisors. Regular maintenance is important to help keep your Nissan running smoothly. Our factory-trained technicians use advanced diagnostics and Genuine Nissan Parts, designed specifically for your vehicle, so you can count on expert service from us. Our Orange County repair center is located at 1140 W. Katella Ave., and we can easily be contacted by phone. While you are here be sure to check out our large selection of new Nissan cars, used cars, and Nissan car parts. Please visit our finance department to learn about the latest loan and lease options.